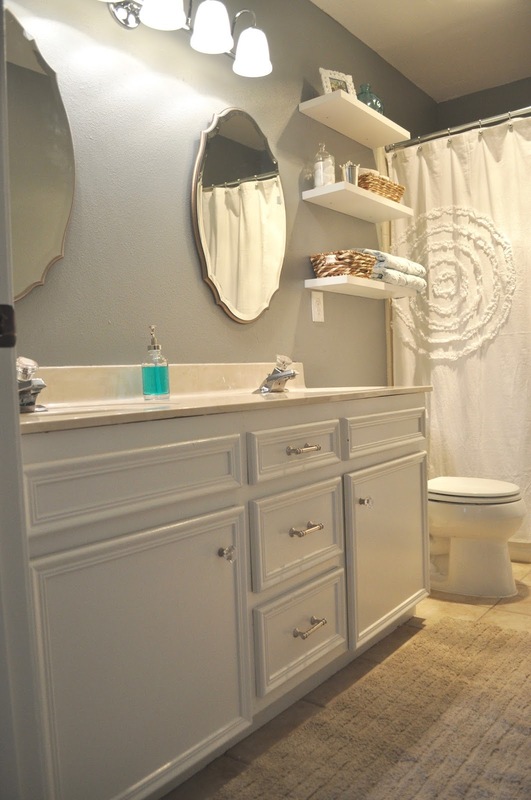 One of the first big projects Alex and I tackled when we bought our home was our guest bathroom. 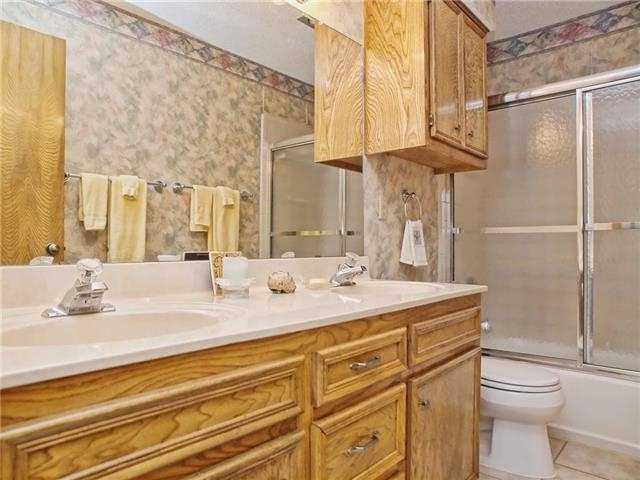 Below is a BEFORE shot...yikes! 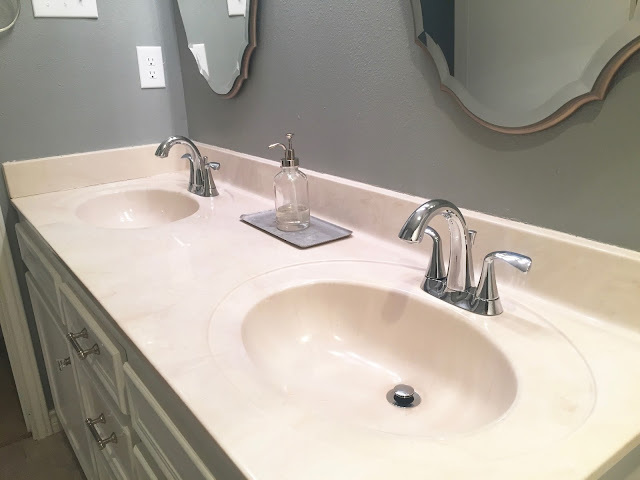 You can read all about our renovation here. 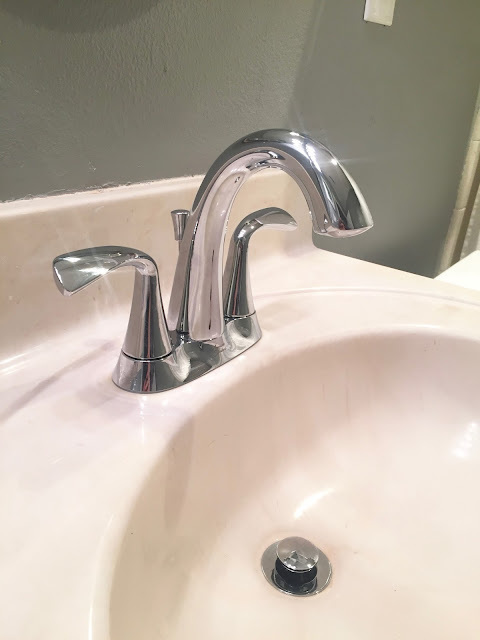 We kept the renovation low budget by doing all the work ourselves, but after we finished I realized that something was missing...updated faucets. I put it off for over 2 years and recently decided it was time for a change. 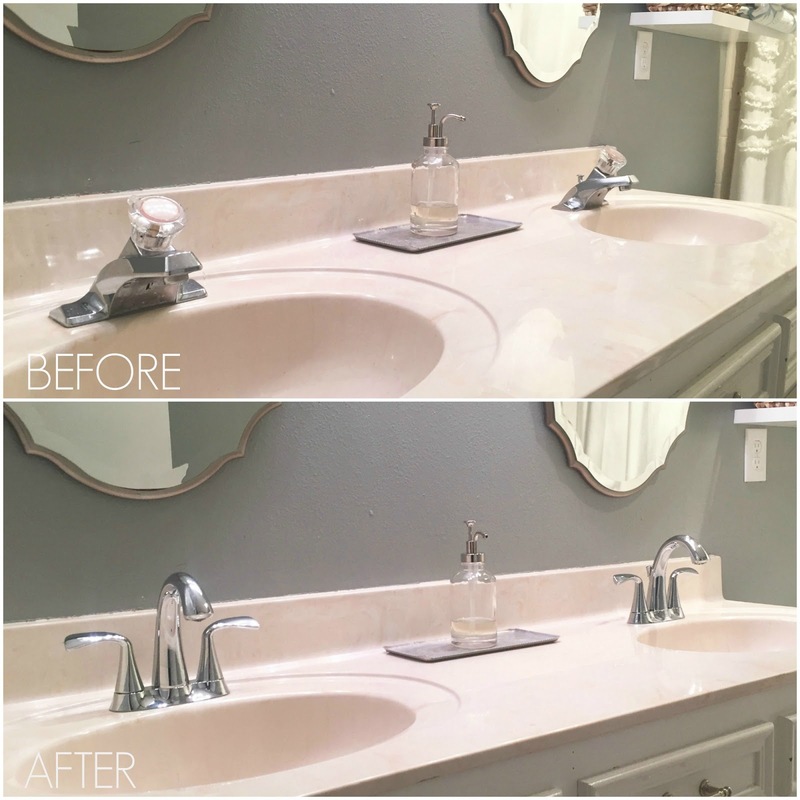 We swapped out the original 80's faucets for these beautiful Fluent Two-Handle Centerset Faucets made by American Standard. The great part about switching out faucets is that it is super easy, AND it makes a huge difference in the look and style of the bathroom. 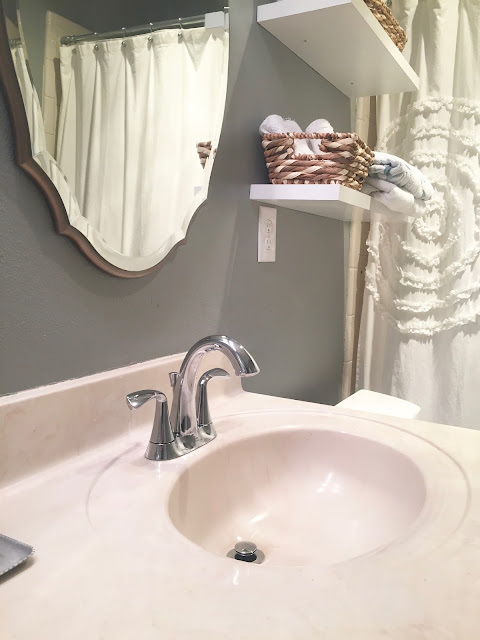 If you're looking for a simple yet dramatic change to your home, consider your hardware. 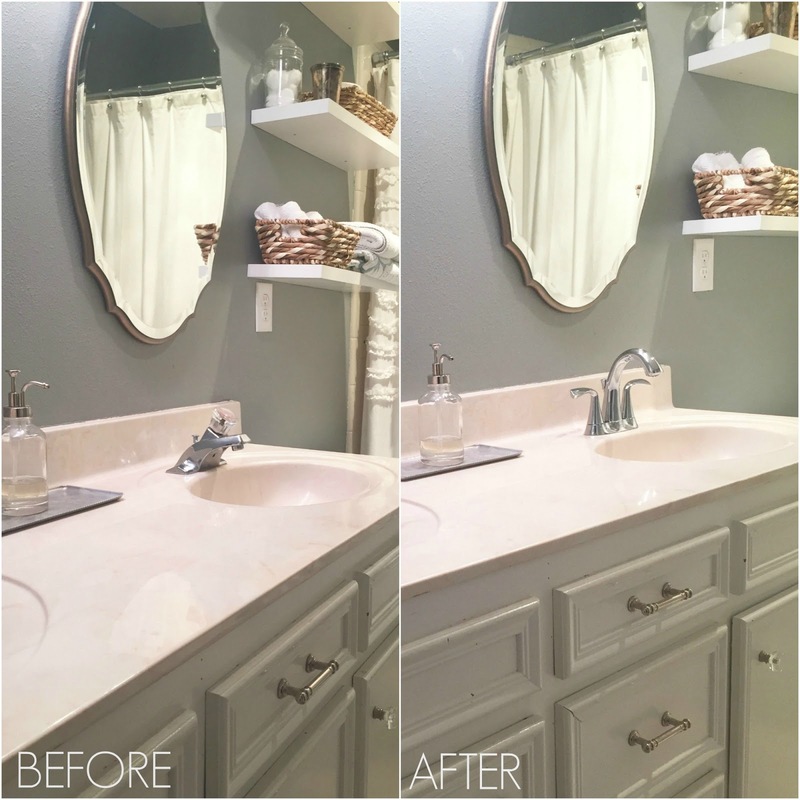 Find more renovation and DIY project photos here. This post is brought to you in partnership with American Standard. Thank you for supporting the brands I love!